Few phrases better sum up Europe’s most famous Islamic monument in Granada, Spain. 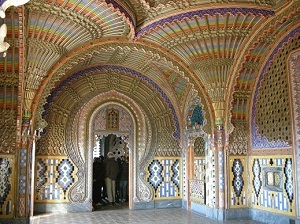 Yet, it is not the Alhambra per se that one is eager to return. For the Alhambra – from the Arabic Al Qala’at Al Hamra, to mean ‘Red Castle’ because of the red hill it is perched upon – is an entire palatial city with a mixture of monumental segments constructed by various Muslim and Christian rulers. The section that is on the cover of every guidebook and in the mind’s eye is what might be deemed the ‘jewel’ in this Muslim European crown – The Palacios Nazares or The Nasrid Palace – that exquisite series of quarters once home to the dynasty after whom it is named. This is the Alhambra that hypnotises the visitor – the delicately balanced symmetry of the Courtyard of the Myrtles, the stunning Patio of Lions where elegantly slim pillars – resembling a forest of palms – hold aloft mesmerising, engraved arabesque arches. Both spaces are open to the elements and use the water in ways that leave the uninitiated aghast. Then there is Comares Tower with its dazzling facade of intricate carvings and Arabic calligraphy praising God and His Messenger, and the Hall of the Kings where each honeycombed stuccoed arch resembles the one before it like a vision of infinite mirrors. And yet, ironically, the city of Granada and the Alhambra only reached its own cultural zenith long after the ‘Golden Age’ of Al-Andalus had come to an end. That age began in the early 8th century and lasted up until the middle of the 11th. It was founded by the Muslim European Umayyad dynasty, an offshoot of the Syrian-based Umayyads, centred around their capital city of Cordoba, which at its height was the most enlightened city in all of Europe. The Alhambra, or a palace on the hill where the Alhambra now stands, was first built by the great Jewish scholar, poet and vizier Samuel Ibn Naghrillah at the start of the 11th century. The Muslim rulers of Granada at the time – the Zirid Sultans – lived in a palace in the Albayzin – Granada’s historic quarter. As each taifa was being slowly picked off by the Christians descending from the north, an Arab whose family trace their roots back to Madinah, called Muhammad Ibn Yusuf Ibn Nasr, took hold of Granada in 1231. It was Ibn Nasr who decided to make the Alhambra his family home and it was his dynasty – the Nasrids – that was responsible for its expansion, fortification and development into a palatial city, complete with a market, mosque, residential quarters, baths and gardens. This is also the era, in which Granada flourished, achieving its own cultural golden age (1344-1396); a period in which the most sumptuous parts of the palace city were also constructed. 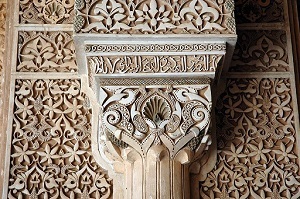 The Alhambra remained the home of several Nasrid rulers right up until the late 15th century and the reign of Abu Abd Allah – known as ‘Boabdil’ in the West. This final Nasrid ruler was defeated by the Catholic Monarchs, Ferdinand II and Isabella I in January of 1492. Then in 1984, it was added to the UNESCO World Heritage list as the “only preserved palatine city of the Islamic period” of Spain. 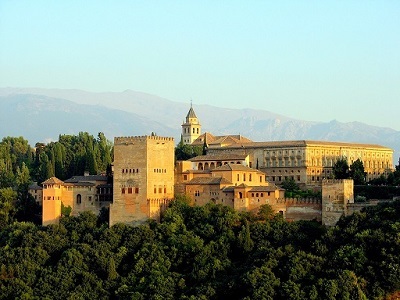 Today, the Alhambra Palace city in Granada is Spain’s premier tourist attraction and probably the most visited European Muslim monument on the continent. 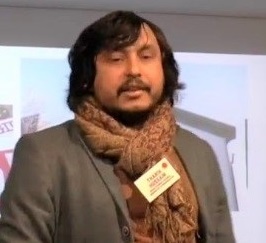 Tharik Hussain, a Bangladeshi by birth, is a Travel Writer and European Muslim Heritage Specialist. The above article is an edited version from Islam Today.